Although I usually write about finances, I have long thought that our greatest assets in retirement are good health and a happy disposition. As we all know, the age at retirement, like the Age Pension ‘eligibility age’ is trending higher. The days of retiring in our fifties are probably coming to an end, as people acknowledge the financial, social and health benefits related to working longer. While there are many people who want and need to remain in the workforce for longer, for some this is just not possible. Those in trades, who spent years working in the harsh outdoor environment, often suffer from wear and tear associated with personal exertion. Skin cancers, work-related joint and back injuries and general physical wear and tear mean that they cannot continue to work in their active roles until retirement age. Unlike some office workers, tradespeople do not have the luxury of transitioning into a different job trade and can find it hard to find new work without retraining. 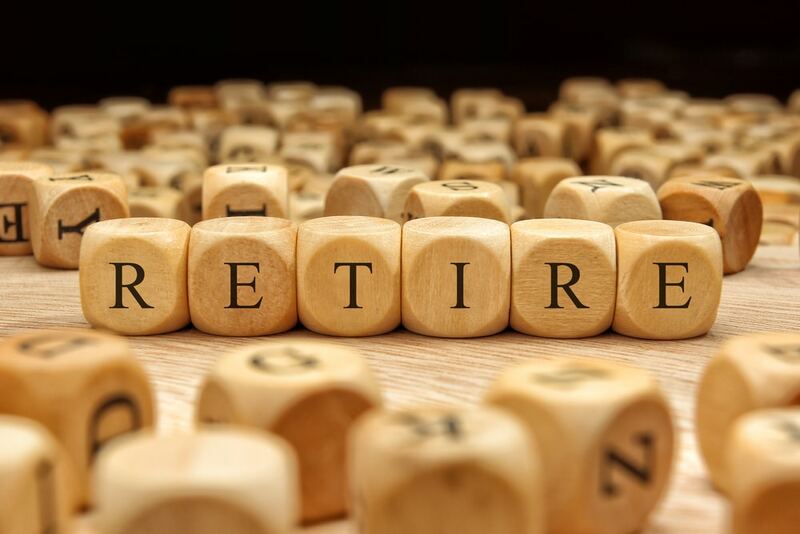 Although there will always be people retiring before retirement age and needing financial assistance, the trend is undoubtedly to work longer. People work more effectively and for longer when they are in good mental and physical health. Unfortunately many people, who would otherwise remain employed, are not fit enough to continue working and some of this is lifestyle related. Poor diet and obesity, lack of exercise and meaningful activities can lead to many health issues which could have been delayed or prevented by healthier lifestyle habits. The National Centre for Social and Economic Modelling recently launched a report called Going the Distance…working longer, living healthier, to look at these issues. Transitioning to retirement, with reduced working hours or days, will no doubt become more attractive to older workers who are financially unable or have no desire to fully retire from the workforce. Mindfulness is a very big trend in society today and people swear by the benefits. I consider mindfulness to be actively tuning our thoughts into what we’re feeling or sensing in our surroundings in the present moment and accepting that heightened awareness without judgment. Mindfulness is a start to improving emotional intelligence and quality of life; however, our memory retrieval process will inevitably slow down with age. Wouldn’t a little bit of conscious thought save minutes every day looking for car keys? What about those doubts over whether we took our tablets before we brushed our teeth, or was that last night we were recalling? Many of us have had these moments and I hope that this is not a sure diagnosis for dementia just yet! Perhaps it is more an indication of extremely busy lives, multi-tasking and too many distractions. Mindfulness can be applied to quiet reflective periods during our day where we take the time to be grateful for our God-given gifts—a loving family, healthy and happy children or grandchildren, or even a very satisfying day at work. Being thankful and appreciative helps us to focus on the good in our lives and definitely makes for a happier disposition. Most of us enjoy the company of happy people and their joy in life is often infectious. A perfect example came to mind recently at the Townsville funeral for an unforgettable lady named Jenny. Jenny suffered ill health for over 20 years, including renal failure, loss of her leg and had an organ transplant. Jenny was renowned for her ever-ready smile and her enduring ability to bring out the best in everyone she met. A bright and happy disposition can be a special and lasting gift to share with people while we are living and certainly more important and memorable than any possessions bequeathed when we die. Death is, of course, inevitable and most people enjoy their retirement more when they feel that their affairs are ordered, regardless of the extent of their estate. In retirement, while enjoying time away from the workforce and the freedom that entails, it is wise to make the effort to put final wishes in order and then get on with the business of living. With superannuation now a prominent financial asset, many people are making binding death nominations (BDN) relating to their accounts in accumulation and in pension phase. This practice is highly encouraged and most people now recognise their super as ‘their’ money. The BDN legally binds the trustee so there can be no discretion. There is no cost and it takes very little time to complete the BDN form with super funds such as Australian Catholic Superannuation. Some people, however, are unaware of the trust structure surrounding super itself and without a properly executed and current BDN, the super fund trustee board could be required to decide who will receive the money on the death of the member. Such a determination can result when there is a non-binding nomination of dependants, with perhaps an objection from eligible super dependants who may have been omitted from the nomination. For a member to maintain complete control of their super, even after death, a properly executed and current BDN is highly recommended. If there are no super dependants, such as partners, children or stepchildren, then the BDN can direct the trustee to pay the super to the estate, where it will be dealt with under the will. A current will is highly regarded and notations in a will can provide further reasoning of the testator at that time of writing. For those with an allocated pension, if you have made your pension reversionary to your spouse and they have not predeceased you, then on your death the pension will continue to the spouse under the conditions prevailing at set up. Should you wish to revoke your reversionary status on the allocated pension, it must be commuted, i.e. rolled back into a super accumulation account and a new allocated pension started. The new allocated pension will then receive the current Centrelink ‘deemed treatment’ applicable to allocated pensions commenced after 1 January, 2015. As you may be aware, much in financial and estate planning revolves around the issue of tax. It is recommended that specialist advice on taxation and estate planning is obtained in order to be fully aware of the consequences of your estate plan on any recipient beneficiaries. Any advice contained in this article is of a general nature only, and does not take into account your personal objectives, financial situation or needs. Prior to acting on any information in this article, you need to take into account your own financial circumstances, consider the Product Disclosure Statement for any product you are considering, and seek independent financial advice if you are unsure of what action to take. Financial advice is available to members through an arrangement with Industry Fund Services Pty Ltd (AFSL 232514). Call us on 1300 658 776. Zilla Lyons is regional manager of Australian Catholic Superannuation and Retirement Fund.